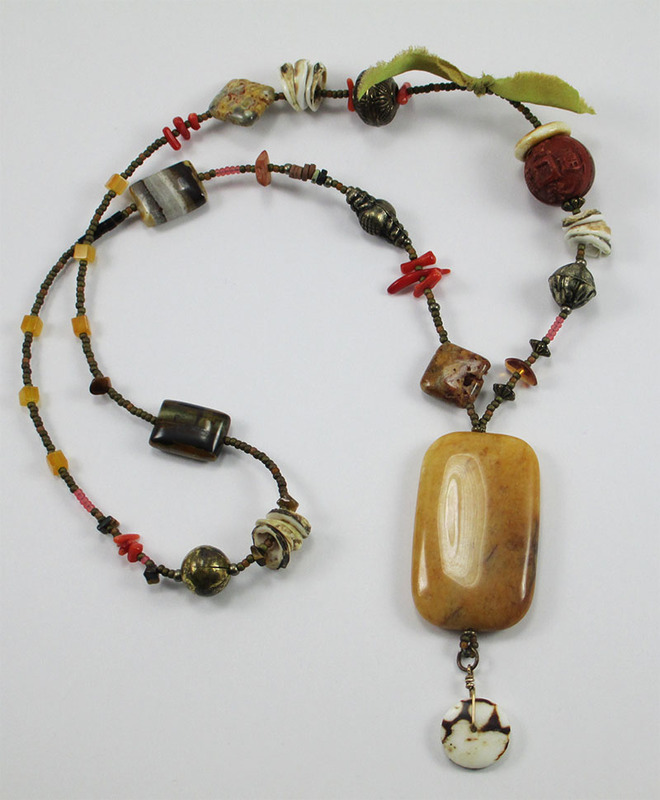 This is a necklace I made using a little of this and a little of that with a honey jasper bead as the focal. It is another example for the Spiritual/Feel Good Necklace - Basic Beading Class I am teaching at Benicia Bead on Saturday, March 14th. It should be a fun class. Oh! And I photographed it in my new light box I made from foam core, white duck tape and fabric. I think it looks pretty good. Eleltrical? Now, how do you pronounce that?